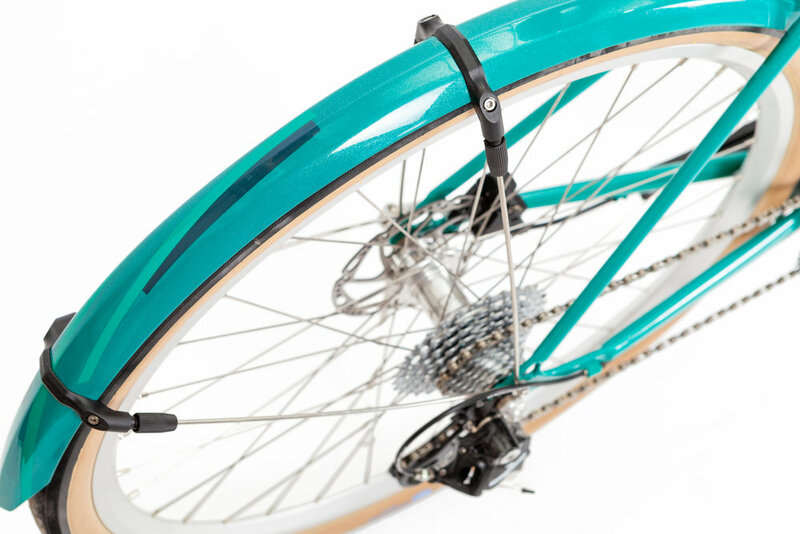 Frame: - Disc Equipped 26” Touring Frame with large tyre clearance. Wheelset: - Handbuilt, Velocity Blunt Rims laced to Hope Pro 4 Hubs. Forks: - Hartley Cycles 853 lugged disc fork. Groupset: - Campagnolo Potenza H11 with Rotor 3D cranks. 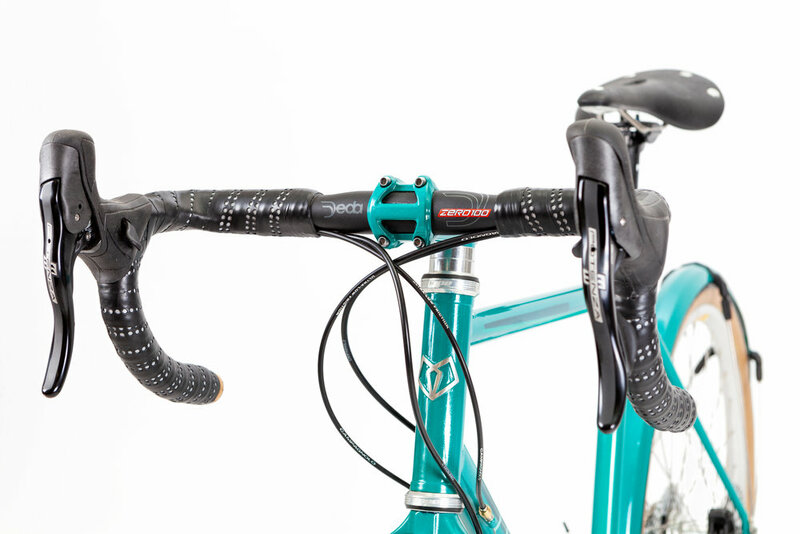 Finishing Kit: - Deda Zero 100 with Brooks Cambium saddle. Paint: - Hand spray paint by Hartley Cycles - turquoise metallic with accented Hartly Cycles logo and geometric block highlights including colour matched stem and mudguards. Details: - Hand cut solid silver VB initial detail on top tube and hand cut silver headbadge.